Being a reseller web host, can make you suspend your clients account at different intervals of time. The suspension could be because of any type of reasons. For some a situation might arise where you need to check the list of suspended accounts in the reseller package of yours. Step 1: First and the foremost step is to login to the WHM account, by entering in the username and the password in the fields provided. The username and the password will be provided to you by the provider. Below is the screenshot of the WHM login page. Step 2: Once you have entered in the WHM login, i.e. the username as well as the password. You will be able to see the dashboard. Where you will see many options. 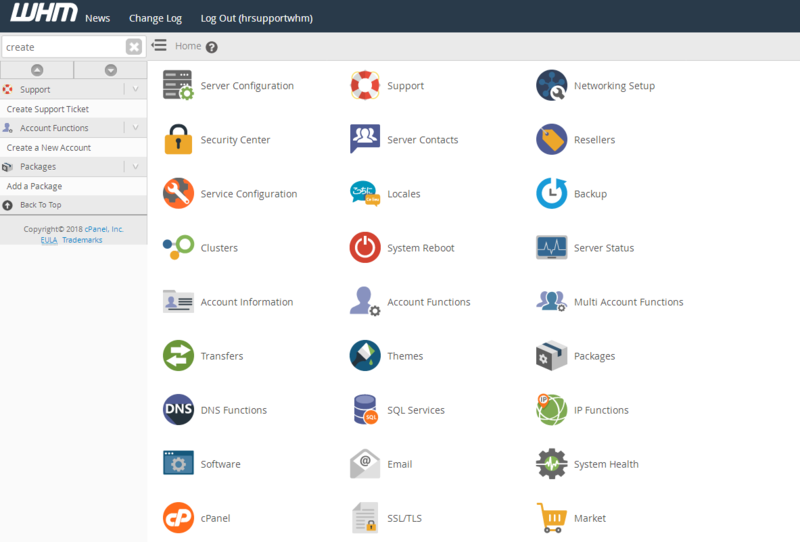 Below is the screenshot of the WHM dashboard. Step 3: Now in the search box provided you need to enter the list from where you will be able to see different options. From here now you need to click on the list of suspended accounts. Below is the screenshot showing the list of suspended accounts. 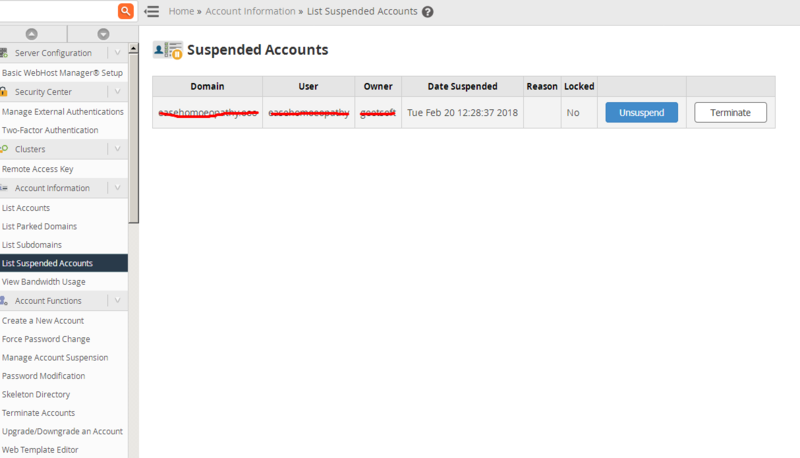 Step 4: From here you can see the list of suspended accounts. Now can take the action against the suspended accounts according to your needs. This was the complete information on finding out the list of suspended accounts in your reseller account.